Mr. Bloodworth is a founding member of Dean, Mead, Egerton, Bloodworth, Capouano & Bozarth, P.A. He practices in the area of business and commercial litigation and has substantial experience in complex commercial litigation, corporate control litigation, breach of contract and business torts and fiduciary litigation. 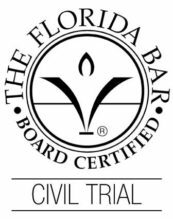 Mr. Bloodworth is board certified as an expert in civil trial law by The Florida Bar Board of Legal Specialization and is a certified mediator. He is a fellow of The American College of Trial Lawyers and has been recognized by The Best Lawyers in America as an outstanding attorney in the areas of commercial litigation (1995-present) and bet-the-company litigation (2007-present). He has also been named an outstanding commercial litigation attorney by Chambers USA – America’s Leading Business Lawyers (2004-present). Furthermore, Mr. Bloodworth has been very active in ALFA International, an international network of 150 independent law firms throughout the world. 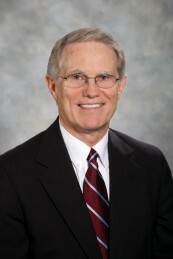 Mr. Bloodworth is the immediate past Chairman of ALFA’s Business Litigation Practice Group. Mr. Bloodworth has been awarded an AV-Preeminent rating from Martindale-Hubbell. He earned his law degree, with high honors, from the University of Florida College of Law and his undergraduate degree from the United States Air Force Academy. 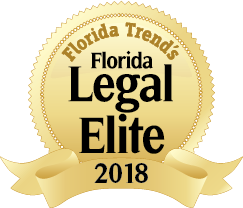 Represented a hospital taxing district in a suit brought by a local entity which contested the sale of the hospital by the hospital taxing district because the negotiations and meetings regarding the sale violated Florida’s Government in the Sunshine law. The hospital district and the purchasing entity attempted a “cure” to redo the sale in the sunshine. Following a five day trial the judge held that the cure process was ineffective to overcome the violations of the Sunshine law and required the parties to transition the hospital back to the hospital district. 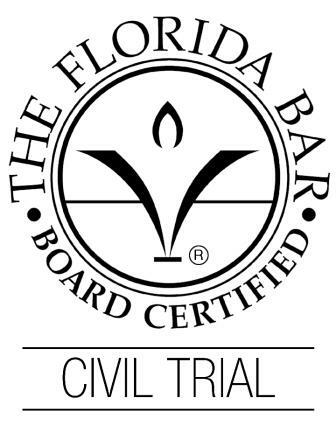 Represented a local business in a dispute over the terms of a contract with a national beverage company that purchased a citrus processing plant and entered into the contract with the local business to provide fruit for the citrus processing plant at a price set by a formula. Represented six individuals who were former employees of a Fortune 500 company who left to join a competitor. They were sued for misappropriation of trade secrets, breach of fiduciary duty, tortious interference with customers and employees, and other claims. After two years of intense discovery (over 60 depositions) summary judgment was obtained on all counts and sustained on appeal. Represented the officers and directors of a closely held business who were sued derivatively and directly by a minority shareholder for breach of fiduciary duty, civil theft, and other claims over the use of corporate funds and management of the business. Represented a major law firm in a class action lawsuit brought by debtors of a bank client of that firm who alleged that the firm breached its obligations under the Fair Debt Collection Practices Act. A settlement was obtained after initial discovery conducted attacking appropriateness of a class action. Represented an out-of-state law firm in a professional malpractice action alleging that they had not adequately represented a PGA Senior Tour golfer in an antitrust action against the PGA Tour in federal court in Florida. After extensive discovery, a summary judgment was obtained on all counts holding that the firm had not committed malpractice. Represented the personal representative of a large estate in a will contest in which the plaintiff alleged that the decedent lacked testamentary capacity. The case involved extensive discovery regarding the decedent’s businesses and testamentary intent over a significant period of time and the uneven testamentary distributions to extended family members. The will was upheld in its entirety. When Do Disclaimer Clauses Bar Fraud Claims?